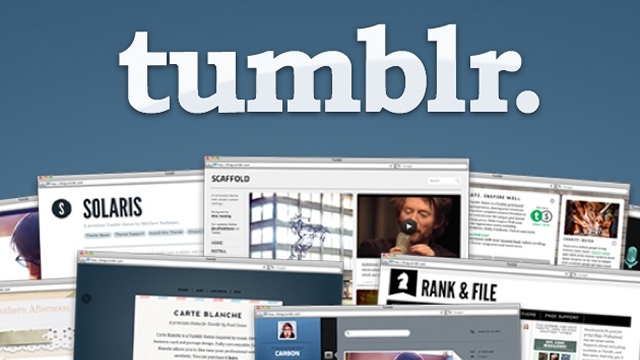 Do you wonder if using Tumblr can assist your business? Would you like to know ways of getting started with it? Would you like your customers to speak about your brand in this social media site? If yes, you are reading the right article, which presents 5 tips of using Tumblr to market your product. Tumblr is a perfect social media network that has about 135 mln blogs and is considered to be among the 10 websites in the U.S. This platform allows you to share everything, like texts, pictures or other content. With the increase in number of users and popularity, it’s the right place for those businesses who want to market their product and create brand awareness. In order to build social awareness on this site, you should make sure that you have a good design for your page. You can choose from the number of free or paid themes, which will match the best to your company style. There are also many themes that have a customization option, which gives you the opportunity to be more unique. Compared to other social media platforms like Facebook or Twitter , Tumblr is more customizable and one does not to have programming skills to use it. Tumblr has a very easy tagging system. You can type a word and it will offer you many alternatives of tags. Though it takes very little time to create tags, it will definitely boost chances of your content to be outstanding, which is the great opportunity for you to increase the quantity of your followers. You should ensure that your tags are relevant and you should avoid using more than 13 tags per post. Firstly, in order to build network connections, you should obtain followers, follow others and engage with the pages, that are relevant to your business and you should start creating your own content. Tumblr doesn’t show the the quantity of the pages you follow, so you can follow as many pages as you want without seeming spammy. Secondly, you should reblog and comment other posts from other blogs that you find interesting. You should also reblog content about your brand from the pages of your customers. It’s an easy and effective way of building relationships in the Tumblr community. Like in all the social media platforms, it’s also very important to stay active and engaging in Tumblr. Though it’s proven that followers don't like when brands post more than 1 time during a day in Facebook, it is not the case with Tumblr, because here, posts are made more frequently. This simply means that you can post more than once during a day if you think that the your content is relevant and engaging. Try to post about 4-5 times a day and you will stay consistent. Instead of considering Tumblr as just another social media platform, remember to make content that is just applicable for Tumblr and which appeals to Tumblr users. In order to gain more followers, you should first of all define who you want to target. After targeting some people, you should create content that will be engaging for them In this way they will be attached to your page. So, here are 5 tips to use in order to market your product on Tumblr. Do you have some experience in using this platform for marketing your business? If yes, share your thoughts and ideas in the comments below.